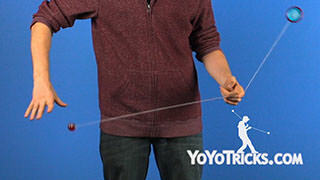 Learn to do the fundamental freehand yoyo trick, half bee sting. Half Bee Sting Yoyo TrickThis trick is called half bee sting, and it looks like this. 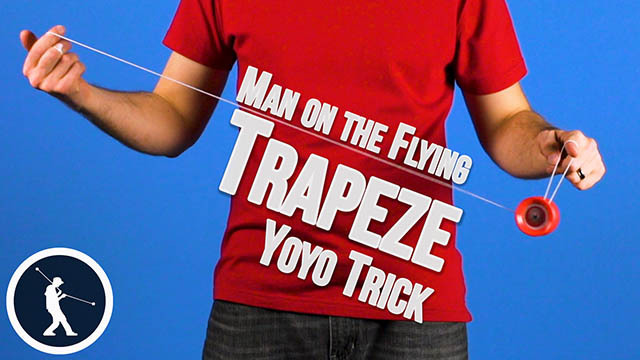 So to do this trick, you are going to want to start in a trapeze. 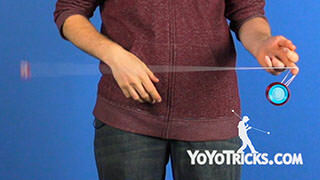 Then you want to check your string proportions. 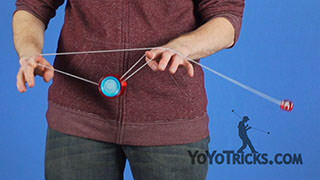 It is really important to keep the yoyo as close to your fingers as possible. 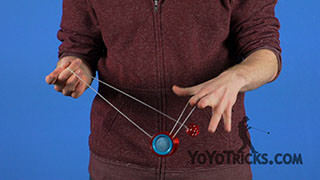 This trick gets exponentially more difficult the farther away the yoyo is from your hand. 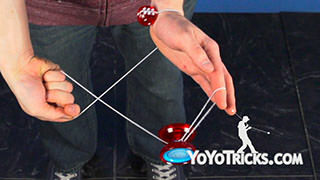 So make sure you are within two or three inches from your finger, that is going to make this trick much easier. 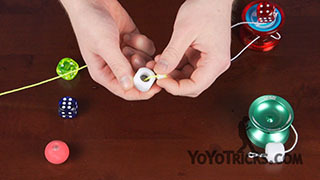 Then you are going to stick out your middle finger and then just practice hopping the yoyo off your pointer finger and just let the yoyo hang over your middle finger. Very basic action, but is is very important to master this. 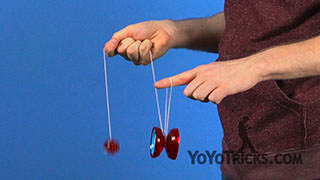 So now that we know what the yoyo is doing, it is time to look at the counterweight. 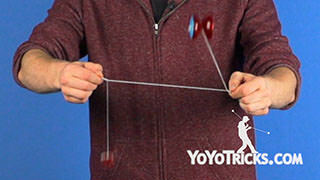 So just like how we learned in our basic stall video, you are going to want to throw the counterweight on an arc. In the basic stall video we taught you to throw the arc upwards, but for half bee sting, instead we are going to throw it downwards. 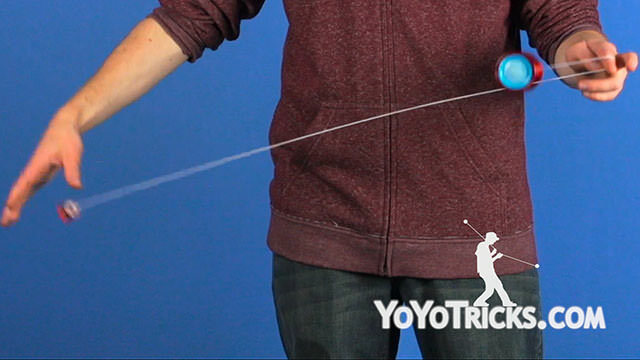 When you are working on this downward arc motion, it can actually be really beneficial to raise your throwhand a little bit higher than you would normally hold it, just because it helps ensure that as you are throwing that downward arc motion, that your arc is straighter. 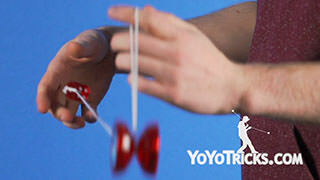 Once you know what to do with the counterweight and the yoyo, it is time to put the two motions together. 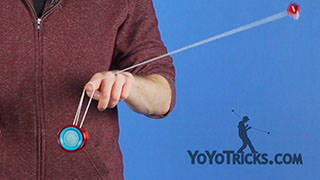 First, you want to get that yoyo nice and close to your non throwhand, stick out your middle finger, bring your hand up, and then right after you let go of the counterweight as you are bringing your hand down for the arc, you want to hop the yoyo off on your middle finger. It is really important that both of these motions happen at exactly the same time. 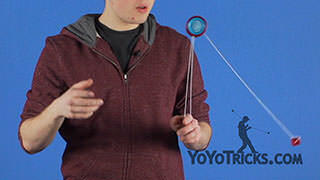 So let go, hop the yoyo off, and the counterweight string is going to come around and connect with the yoyo and you will notice that you are in an undermount. 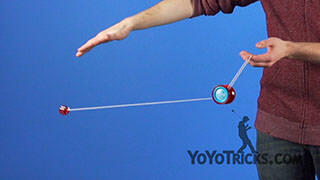 When you catch the counterweight, you want to catch it just how you would catch a regular 360. 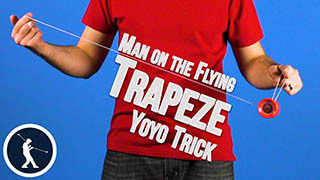 And because you are in an undermount, all that you have to do is perform a bind, and there you go. 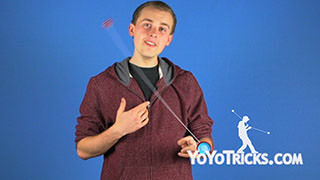 If you are having a hard time with this trick, it is really important to keep the yoyo close to your pointer finger, and also make sure that you are not just chucking the counterweight down, it is really important to throw it on that arc motion, so that you have the most amount of accuracy. If the counterweight is not coming all the way around, like this, you want to try to raise your hand up even higher so you have more time to give the counterweight power as you are coming around. And that is half bee sting.